I’m hot. Are you sweating? 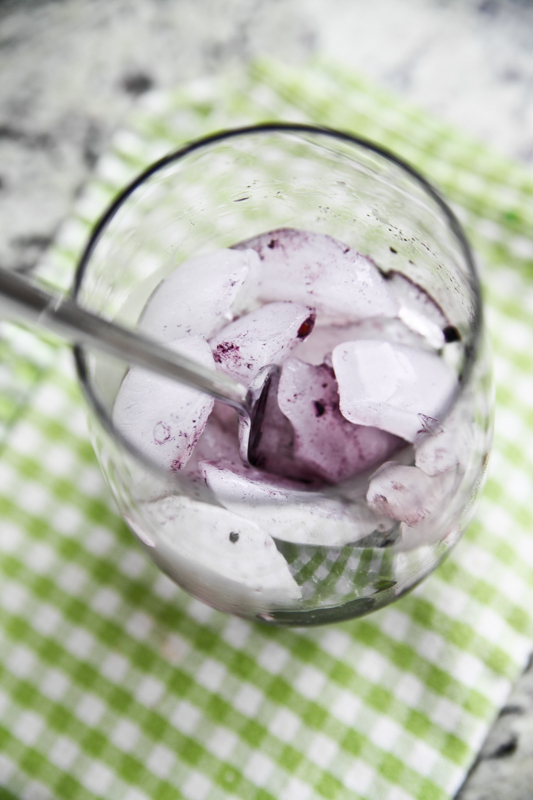 Are you sipping something cold to drink? It’s summertime, and we all have to stay super hydrated. I’m partnering with Nestle Waters for this post to share a little research about healthy hydration. We need every reminder we can get to stay on top of our water drinking this summer! Make water half (or more!) of your daily fluids. Sparkling water totally counts! Coffee and tea do count towards your hydration goals because you are getting more fluid than the caffeine is canceling out as a diuretic, but they shouldn’t be all that you drink. Nothing is as thirst quenching to the body than plain old water. 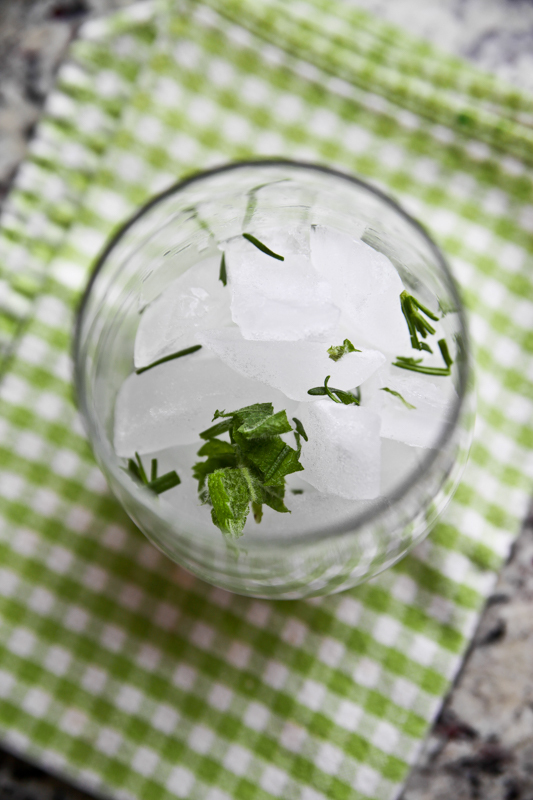 Choose water over calorie-laden options. If you do choose something with calories, make them count. There is a lot more nutrition in 150 calories of freshly pressed green juice than a soda, so try to make your calories act as friends with benefits! While green juices are super popular right now, aim to match vegetable and fruit juices with equal servings of whole veggies and fruits. The fiber in the real deal is important too. If you do have some drinks that have energy tagging along, try to limit them to 10-15% of your daily intake. That’s about 200-300 calories in a 2,000 calorie diet. Diluting juices with water – or adding just a splash of juice or lemonade to your water – is a great way to add flavor while maximizing hydration and minimizing empty calories. You don’t have to drink plain sparkling water to get your thirst quenched. 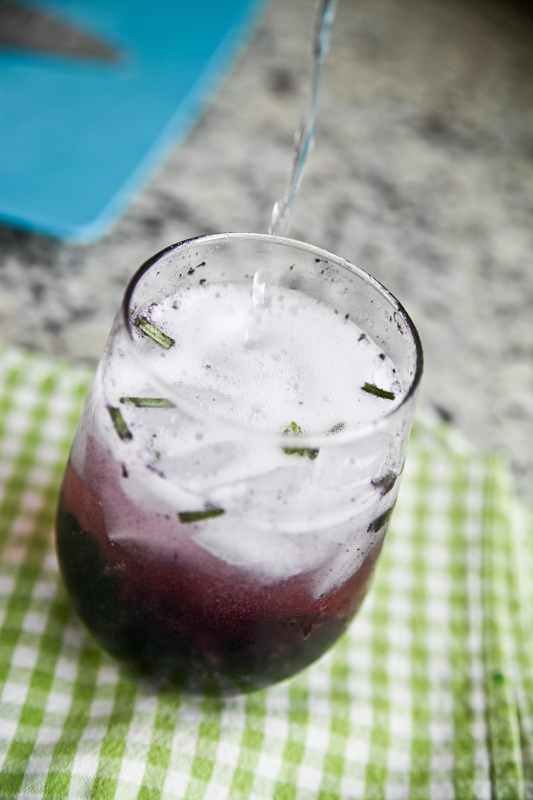 This mocktail is made with sparkling water, fresh blackberries and herbs from the garden, and adds a lot of freshness without sugar or alcohol. 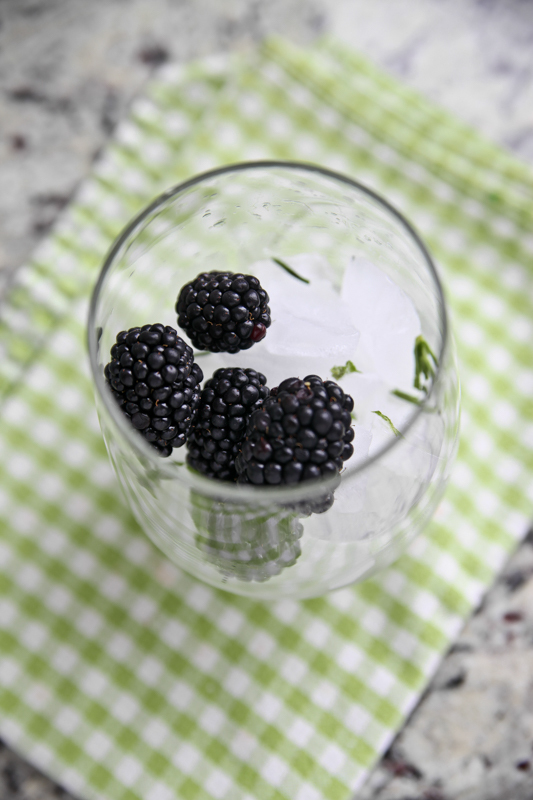 A small handful of blackberries, crushed with a fork against the glass. 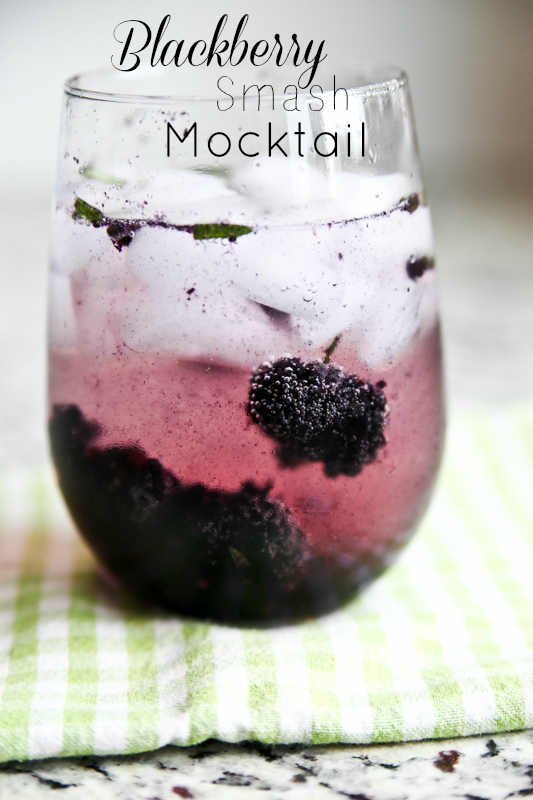 I am always on the lookout for good mocktails that aren’t high in calories! I will definitely try this! Just looking at the photos it is so refreshing! Can’t wait to give it a try! Just wanted to say that per usual, people need to chill out a little. I love Perrier and Poland Springs too and wouldn’t drink bottled water in my house. 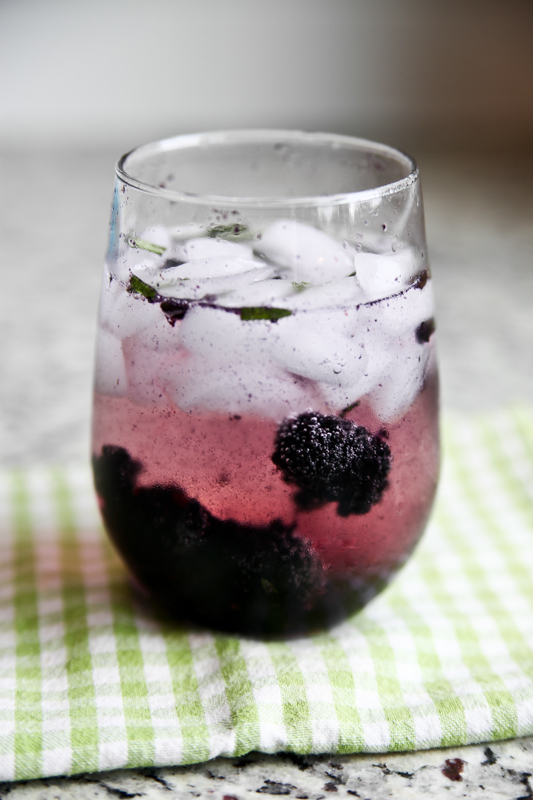 I am going to try putting fruit in my sparkling water tonight! Hi Kath! That mocktail looks great. One of the simplest I have seen to date and I will definitely be giving it a try. Love the flavor combo. Also, as someone who puts a heavy emphasis on real and whole food myself, I realize how it can also have its short-comings. If I were to solely focus on only putting the highest quality food and drink into my body at every meal, I probably wouldn’t have much of a social life. It is such a balance- even with likeminded friends and family! All that to say, people will have their own opinions of what you wrote in this space, but I think you do a good job balancing it out. Have a great day! <3 water. We put tap water in jugs and let them sit on the counter, uncovered, for a few hours before drinking from them – it gets rid of the chlorine taste and the water tastes so much better! This sounds great! I hate sparkling water, so maybe I’ll add Stevia!